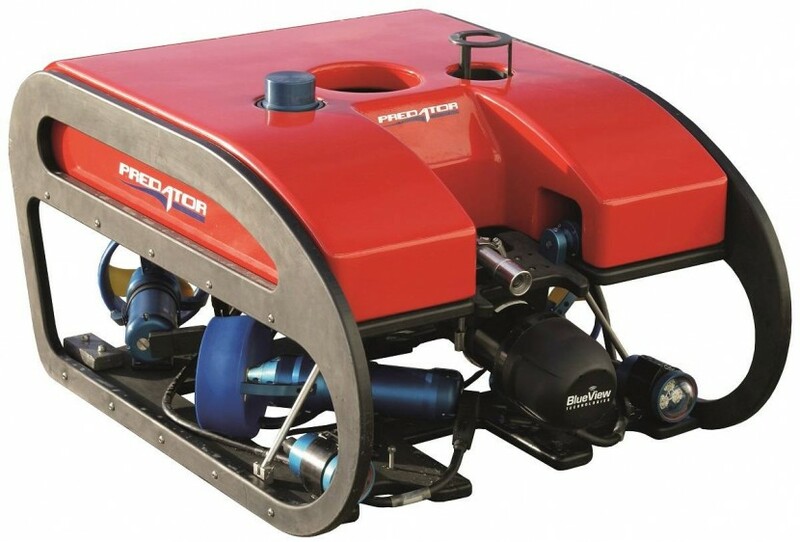 Built by Seatronics with practical, hands-on field experience, the Predator – inspection Class ROV has been designed to function in all market sectors around the world including Oil & Gas, Military, Fisheries, Inshore Survey, Scientific Research, Telecommunications and Energy. The Predator, a 300m rated inspection class ROV has been developed to meet the demanding markets for rugged and reliable underwater viewing systems. The ROB uses the latest high reliability technology designs for maximum operating efficency in marine operations. Reliablity has always been foremost in the developement of the ROV package and with the inclusion of a network control system and a comprehensive diagnostics system, the functional design will assure continuous performance in all operations. Added to this efficent control systems, all vehicle functions are monitored by high capability diagnostic electronics – diagnostics generally found in most costly work-class ROBs, which will identify fault sectors that may be problematic, without loss of control of the ROV. The thrusters are assembled using high efficiency brushless DC motors with direct drive to the prop blades. The thrusters are fitted with high quality seal cartridge c/w wiper seal protection for any sand entrapment. The seal cartridge can be easily be replaced within minutes providing a quick and easy method of maintenance. In order to reduce drag and improve the ROV performance, most of the electronics have been designed to fit under the buoyancy module on the vehicle frame. The power system has been designed to accommodate a tether of 16mm (neutrally buoyant) diameter which significantly increase the vehicles manoeuvrability and versatility. The hand controller for the system is designed to be portable and houses the control joysticks, dials and membrane pad buttons, all of which are sealed from water ingress. The hand controller functions can be customised by utilisation of the surface control system setup interface.